A new study has revealed that 41 million people in 15 countries of four different world regions are living in constant fear of losing their property rights in the next five years. They live in constant fear that either their owner/renter would ask them to leave or the government would seize their property or disagreement with family and lack of resources would potentially end their rights on the property. The study is based on a survey conducted by Prindex, a joint initiative of the Overseas Development Institute and the Global Land Alliance. The Prindex survey was conducted after taking 17,877 samples from 15 countries in regions including West & Central Africa, Southern & Eastern Africa, Latin America and Southeast Asia. One out every four respondents (24 per cent) claimed that they constantly live in the fear of their owners turning them out, followed by disagreement with family or relatives (16 per cent), lack of money or resources (14 per cent) and fear of property seizure by the government (13 per cent). Burkina Faso (44 per cent) and Liberia (43 per cent) are the worst performers among the 15 countries surveyed. On the other hand, Rwanda (8 per cent) displays the lowest rate among the 15 countries sampled, including Latin American ones, and substantially below the average for its region. Burkina Faso, where 79 per cent of the population is tenure insecure, claims that their property rights would be seized by government or private companies. In Liberia, 33 per cent people claim that family disputes may cause them to lose rights. The perceived insecurity to property rights has also increased due to lack of formal documentation of property. However, documentations don’t guarantee secure tenure rights. They just display higher level of perceived tenure security. 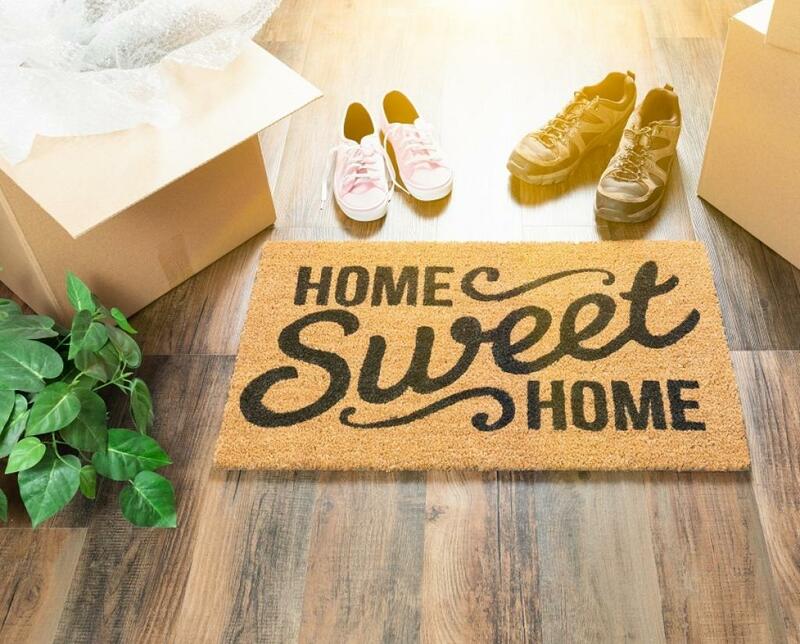 Possession of formal documentation among owners and renters is highest in Latin America (80 per cent) and lowest in West & Central Africa (59 per cent). Rwanda has the highest reported rate of formal documentation, with over 85 per cent of owners and renters who say they possess formal documents that establish property rights. In West and Central Africa, an average of 32 per cent of the population has no possession of formal documents. Burkina Faso, Cameroon, Cote d’ivoire, Liberia are places where most people do not possess formal property documents. The proportion of respondents with informal documentation only is particularly high in Senegal, Zambia and Costa Rica. In terms of gender, women have just 0.5 per cent higher rate of insecure property tenure than men. The highest percentage is in Burkina Faso and Peru. 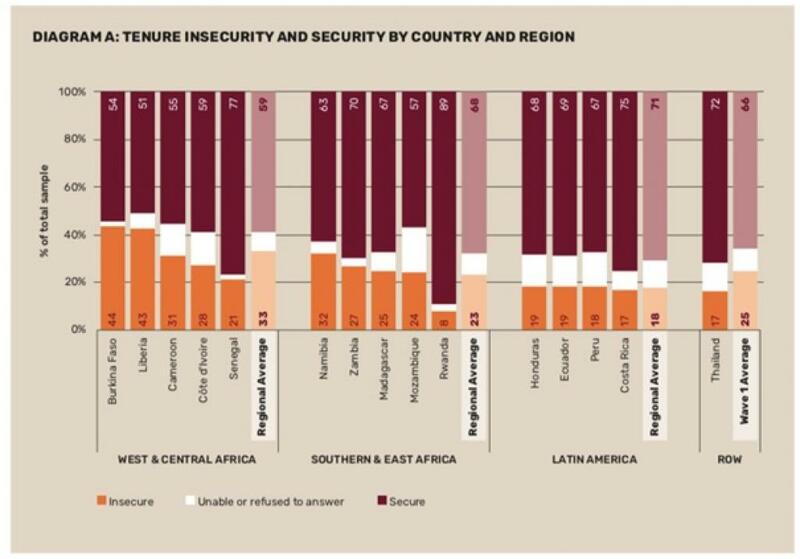 The pilot survey was conducted in 2016-2017 to measure perceptions of tenure security. Coverage in another 33 countries would be rolled out in December. Prindex aims to collect data from over 100 countries in total.